Even though it might initially seem that Luigi has a lot of problems in BitF, I think he’s actually one of the characters that’s a little better off. When I think about it, far more horrific things happen to Mario himself on a regular basis in this strip, not to mention the insanity that hits several of the other characters (Kirby’s ironic outcomes, Dedede’s backfiring pranks, etc). 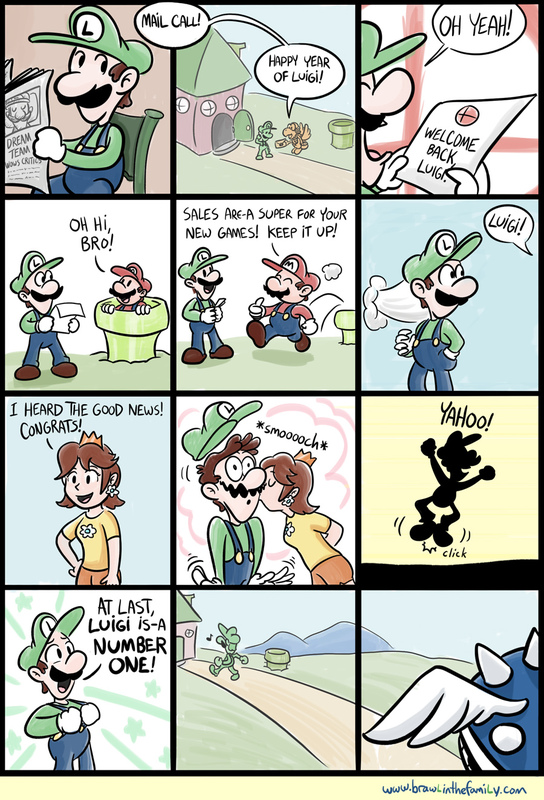 I think Luigi’s actually got it pretty good, considering! No wonder the Spiny Shell has eyes for him.